A popular Google Chrome extension for file-sharing service MEGA has been compromised by a group of hackers who managed to steal users private keys, usernames, and passwords. The hacker uploaded the malicious version of the browser extension, i.e., version 3.39.4 in an effort to gain access to different websites. The passwords were then sent to a Ukraine-based server. However, MEGA has blamed Google for this incidence as they have removed publisher signatures on Chrome extensions and making it easier for hackers to attack. “We would like to apologize for this significant incident. 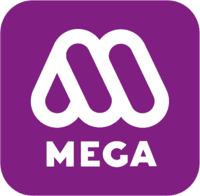 MEGA uses strict release procedures with multi-party code review, robust build workflow and cryptographic signatures where possible. Unfortunately, Google decided to disallow publisher signatures on Chrome extensions and is now relying solely on signing them automatically after upload to the Chrome webstore, which removes an important barrier to external compromise." The best way to stay safe from this kind of attack is to not download any extension you won’t need.